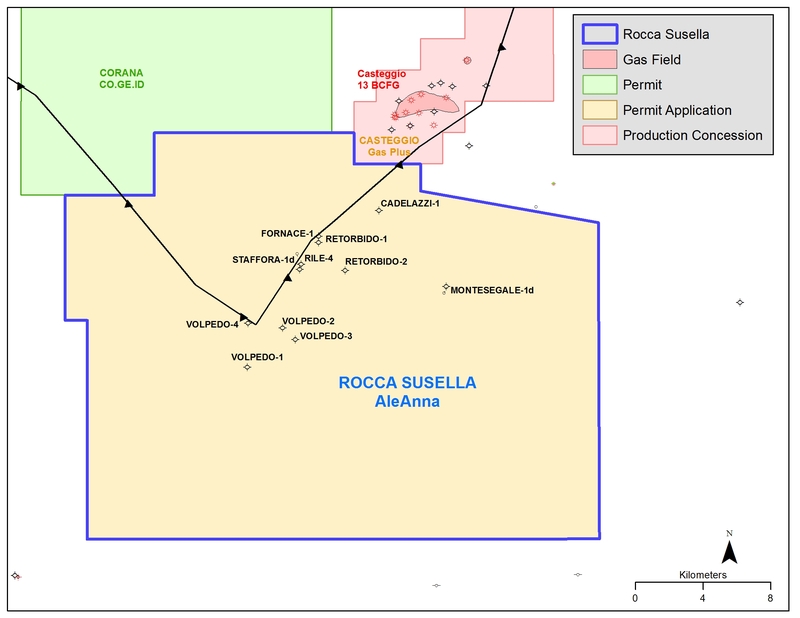 Rocca Susella is located in the Western Po Basin, south of the Ligurian Thrust front. The main play is for Miocene sands (Tortonian- Serravallian) in sub-thrust structures. Analogous production is from Monte delle Vigne-Torrente Baganza Field. A sub-thrust lead has been mapped just south of the Volpedo-4 well based on 2D seismic. 3D seismic is needed to better image the subthrust section.